I know that this post will be a bit tangential from others I have written, but there has been a lot of discussion on this issue, and I wanted to share my thoughts. 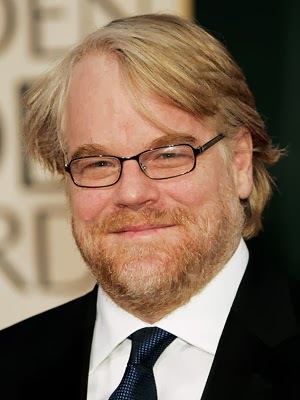 While I don't ever really take to the interwebs to gossip about celebrities, or chatter about lifestyles of the rich and famous, I was drawn to the sad news stories regarding the death of Phillip Seymour Hoffman recently. 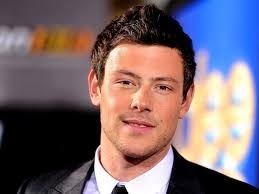 In the same way, a few months ago I was similarly drawn to the stories of the death of Corey Monteith. While countless others have shared the same fate of Hoffman and Monteith, these are two people who were in the public eye, and for all intents and purposes didn't fit our typical view of what one who dies of an overdose should look like. They weren't violent criminals, they didn't live under an overpass, and they maintained their incredible talent until the day they died. This of course let to feelings of shock around the world when news surfaced of their respective deaths. Despite this, the comment threads across all the news sites were ablaze with speculation and opinion, which left me feeling really sad for the way that many people (at least those who are most vocal) choose to understand addiction. I won't repeat what I read on those threads here, but I will say that the overwhelming sense that I got was that there was a lot of negativity around the "addict", but not necessarily the "addiction". Granted, if one wants to live a happy existence, they would do well to stay away from any internet comment boards, lest the attitude and belligerence continuously push their anger buttons. So rather than post comments into those voids, I felt inclined to write a bit about my experience here. Keep in mind, I don't share everyone's experience, and I'm not trying to speak for anyone else but myself. I speak from a very personal level to try to help build understanding on the subject. Why Even Start Using Drugs or Alcohol? Well, there are a lot of reasons, and it's different for every person. For me, I started drinking in college, which is nothing strange in and of itself. Sometimes personal or emotional issues come into play, but sometimes not. Alcohol became my drug of choice, and I immediately began a love affair with it. It was, in my head, a solution to all my problems even when it caused more problems. It's all part of the insanity, and the disease which inhibits addicts from appropriately interpreting reality. I was never really presented with the opportunity to try narcotic drugs, so it's hard to say whether or not I would have developed addictions to them or not, but the likely answer is that I would. Many people start earlier in their teens, and for the addict, there is no un-mixing the margarita, so to speak. Therefore the notion that "he shouldn't have started in the first place" is not a helpful statement. 90% of the population can maintain their sanity and use substances in moderation without ill effect. Unfortunately, however you don't know you have a problem until the damage is done. At that point, without help, it is too late. Why Not Just Practice Moderation or Willpower? Mark Twain once said said that he smoked cigars in moderation. One at a time. As insane as it sounds, my mind can easily interpret that tongue and cheek comment as a rationalization. That is the disease of alcoholism/addiction. It is a disorder of obsession and compulsion in which we are powerless over the first drink/drug. Once we lose control over our drug of choice, we never have control again. Ever. Ever ever. I can imagine it is hard for normal drinkers to understand this, because they don't obsess over alcohol. "Why not just stop at two?" is a typical question, which is reasonable because that is how most people can think. They can sip their drink and leave it half empty without a second thought. In that situation the alcoholic, on the other hand, can think of nothing else, and under their own willpower they will continue drinking, despite their most sincere intentions to do otherwise. Hence the sincerity in the repeated promises of the addict to maintain control or stop completely. They will always fail if they act on willpower alone because they are powerless over the addiction. This relates to the question above, and it concerns powerlessness. To stop completely on our own would imply that we have the control and will to do so. But the disease of alcoholism/addiction suggests that we are powerless over it and no longer have control over our own lives. It's similar to asking someone with chronic and debilitating depression to "cheer up". Or telling someone with OCD to stop messing with the lights. Chances are they want to abide, and have every intention of doing so. But without help they are unable to. Furthermore, it requires people who have developed often strong self centered personalities to become intensely humble so as to admit powerlessness over something which they internally believe is the solution to all their problems, and accept help. I tried many times to just "quit" on my own, but despite the fact that my life improved, I always came back thinking I could control it or just couldn't live without it. It requires a fellowship of like-minded individuals and a strict program to maintain sobriety. Again, this is a disease of insanity which will do anything it can to kill. While we may not want to die, when we are practicing our disease we are slowly killing ourselves, and totally unaware or unwilling to accept that fact. There have been many situations in sobriety where I have looked with envy into the shadiest of dive bars thinking I want what the people inside have. The alcoholic/addict has the ability to fantasize even the most obscene types of drug or alcohol use. It takes my daily program of recovery to keep it foremost in my mind that my disease is not looking out for what's best for me, but wants to kill me, but not before destroying my life altogether. If Things Get Better Once Sober, Why Relapse? The unfortunate truth is that the better things get in sobriety, the more dangerous addiction can become. Addition doesn't go away with time. Contrary to common sense, the addiction only gets stronger with time even when we're not using. If things are going very well, there is a likelihood that the user may reduce participation in their own recovery, and soon that will turn into the feeling that they "deserve" a drink or drug. Complacency kills. In very short order, if not immediately, the addict is right back in the worst of it, and all their positive work has been lost. I have also heard that it is these relapses that are the most dangerous because your body is no longer tolerant of the high doses of toxins being put in the body, but the addiction takes us right back to the volume we had used before. A deadly case comparable to the eyes being bigger than the stomach. Why Do You Consider Addiction a Disease? I've heard this legitimate question a lot, and have witnessed a lot of resentment with regard to this subject. I've seen a lot of comments about addiction being a choice, not a disease. For example, Mr. Hoffman and Mr. Monteith "chose" to put the needle in their arm, and they shouldn't be compared to innocent victims who die of cancer or other actual diseases. Fair point. But I think it is necessary to remove the comparison of addiction from these other conditions because it's apples and oranges. Simply, if you google "disease", you come up with the following definition: "a disorder of structure or function in a human, animal, or plant, esp. one that produces specific signs or symptoms or that affects a specific location and is not simply a direct result of physical injury." Breaking it down, it is a disorder of structure or function (inability to control a behavior or physical condition)... that produces specific signs or symptoms (obsession, compulsion, inability to function without the substance) or that affects a specific location (the brain) and is not simply the result of physical injury (it is the result of a specific mental condition). This is not to say that responsibility is not taken by the addict for their behavior. On the contrary, many programs of recovery which revolve around abstinence involve treating the mental and spiritual condition while cleaning up wreckage from the past abuses. In this sense the behavior of using the drug of choice is just a symptom of the overall disease. In any respect, in order for a diseased individual to get better, they must be treated. The truth about addiction is that it never goes away. For those of us afflicted with it, it will always be with us and we have to constantly remember that fact and seek to work with others who share this disease. If we choose to practice willpower or moderation, we will have no choice, and we will fail. As an alcoholic, as one with no control, the only choice I have is to admit that I am powerless, and be willing to surrender my will. I don't believe that Hoffman, Monteith, or many of the countless others who died as a result of their addictions necessarily wanted to die, or thought they would. But they are examples the indiscriminate nature of this disease, and their death is evidence that it wants to kill us. Addiction really can, and does, affect anybody from all walks of life. Not only are addicts the people living under bridges, or the arrogant rich and famous 20 somethings we hear about on TMZ. They are also doctors, lawyers, business people, philanthropists, ministers, and the list goes on who may have started down the path of addiction for any number of reasons, but due to their disease have since lost all control. I only hope that those who may feel that they have a problem find the willingness to take the first steps in recovery and find the wonderful life that exists in sobriety. I know I have. And I pray on a daily basis that I keep it. After all, regardless of how well I am doing, I am always only one drink away from a relapse.